Geoffrey Baker will be talking about his forthcoming book, El Sistema: Orchestrating Venezuela's Youth (OUP, 2014). The Venezuelan youth orchestra program known as "El Sistema" has attracted much attention internationally, partly via its flagship orchestra, the Simón Bolívar Youth Orchestra, headed by Gustavo Dudamel, and partly through its claims to use classical music education to rescue vulnerable children. Having been met overwhelmingly with praise, The System has become an inspiration for music educators around the globe. Yet, despite its fame, influence, and size - it is projected to number a million students in Venezuela and has spread to dozens of countries - it has been the subject of surprisingly little scrutiny and genuine debate. Geoffrey Baker explores the career of its founder, José Antonio Abreu, and the ideology and organizational dynamics of his institution. Drawing on a year of fieldwork in Venezuela and interviews with Venezuelan musicians and cultural figures, Baker examines El Sistema's program of "social action through music," reassessing widespread beliefs about the system as a force for positive social change. Abreu, a Nobel Peace Prize nominee, emerges as a complex and controversial figure, whose project is shaped by his religious education, economics training, and political apprenticeship. Claims for the symphony orchestra as a progressive pedagogical tool and motor of social justice are questioned, and assertions that the program prioritizes social over musical goals and promotes civic values such as democracy, meritocracy, and teamwork are also challenged. Placing El Sistema in historical and comparative perspective, Baker reveals that it is far from the revolutionary social program of contemporary imagination, representing less the future of classical music than a step backwards into its past. 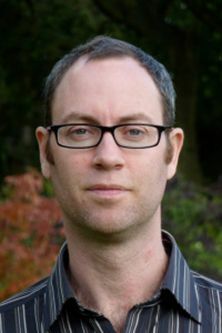 Geoff Baker is a Reader (U.S. equivalent = Associate Professor) in the music department at Royal Holloway, University of London. He specialises in music in Latin America, and he has published extensively on colonial Peru. His book Imposing Harmony: Music and Society in Colonial Cuzco (Duke University Press, 2008) won the American Musicological Society's Robert Stevenson Award in 2010, and a Spanish translation is due to be published in Peru. He co-edited Music and Urban Society in Colonial Latin America (Cambridge University Press, 2010) with Tess Knighton, and he has contributed essays to several journals and collected volumes. Recently, he has been focusing on childhood musical learning and music education in Cuba and Venezuela. He was co-investigator on the three-year project "Growing into music," funded through the AHRC's Beyond Text scheme, and made a series of documentaries and short films about young musicians in Cuba and Venezuela. This project culminated in festivals in Bamako (Mali) and Havana in early 2012. He also held a British Academy Research Development Award in 2010-11 and undertook a year of fieldwork in Venezuela on the country's famous orchestral music education program, El Sistema. He is in the later stages of writing a book on the topic.